In the latest episode of the eClinicalWorks Podcast, we chat with Christine Barboza, Practice Manager at Allergy & Asthma Care in Taunton, Massachusetts. Christine explains how the eClinicalWorks allergy module’s integration with the Progress Note streamlines workflows at her practice, giving practitioners the tools they need to deliver high-quality care while keeping patients fully informed. With eClinicalWorks, Allergy & Asthma Care has eliminated ink-edit documents, increased efficiency, and simplified billing. 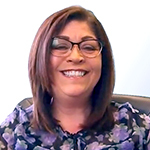 As a superuser of the eClinicalWorks allergy module, Christine Barboza emphasizes the importance of a practice taking time to decide how they want to use the module, which can and should be customized to match the workflows that the practice uses. Ensuring proper setup, she notes, will ensure providers get the most value from the module. 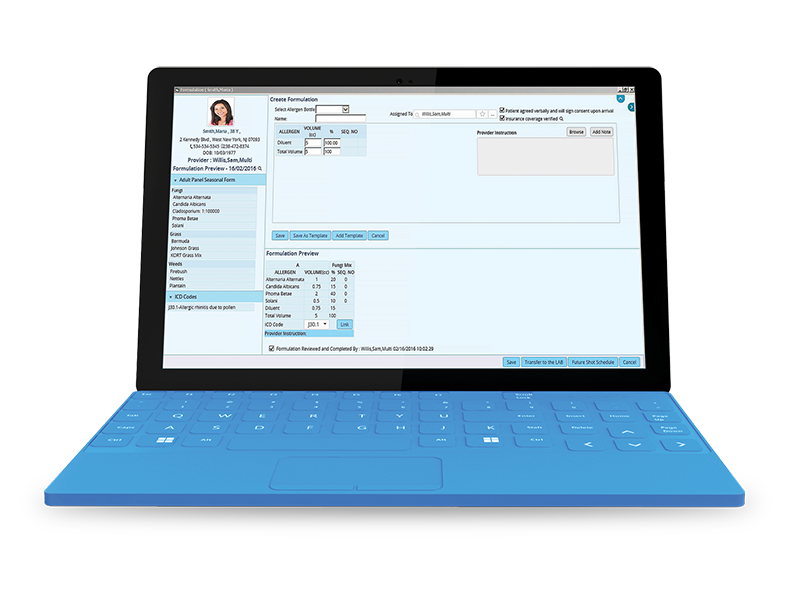 Rather than forcing providers to retrieve individual documents, scour patient records, or search for test results, the eClinicalWorks allergy module contains all the information needed at the point of care, giving the provider complete visibility into the patient’s case, and allowing them to print out a Progress Note for the patients, who can see everything they were tested for, and whether tests were positive or negative. The eClinicalWorks allergy module is designed by allergists, for allergists. It comes with configurable worksheets for antigen tests and is fully integrated in the clinical workflow. Test result data are used to automatically create formulations and generate a shot schedule specific to each patient, which is then reviewed and activated by a provider. 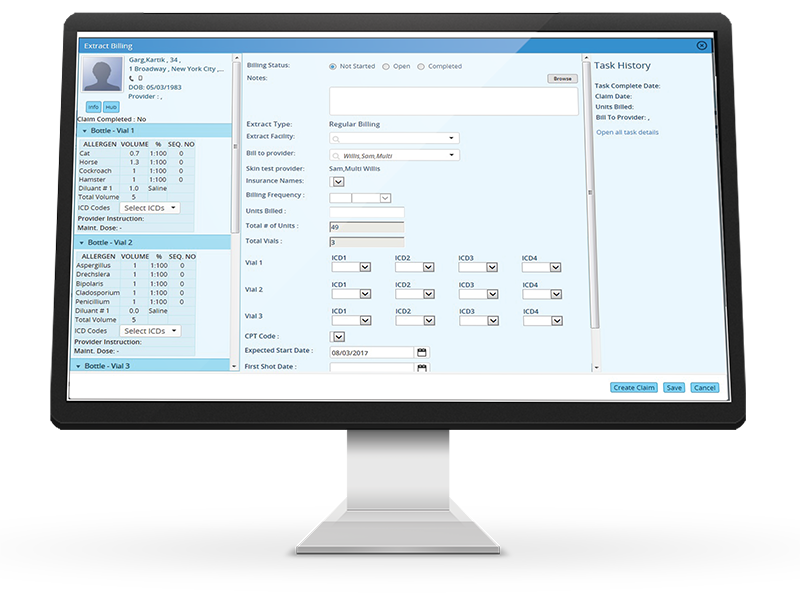 eClinicalWorks features integrated, customizable rules for billing extracts, along with a reminder system for when to bill the next set of units, based on each patient’s insurance plan. Adam: Welcome to this edition of the eClinicalWorks Podcast. I’m Adam Siladi. 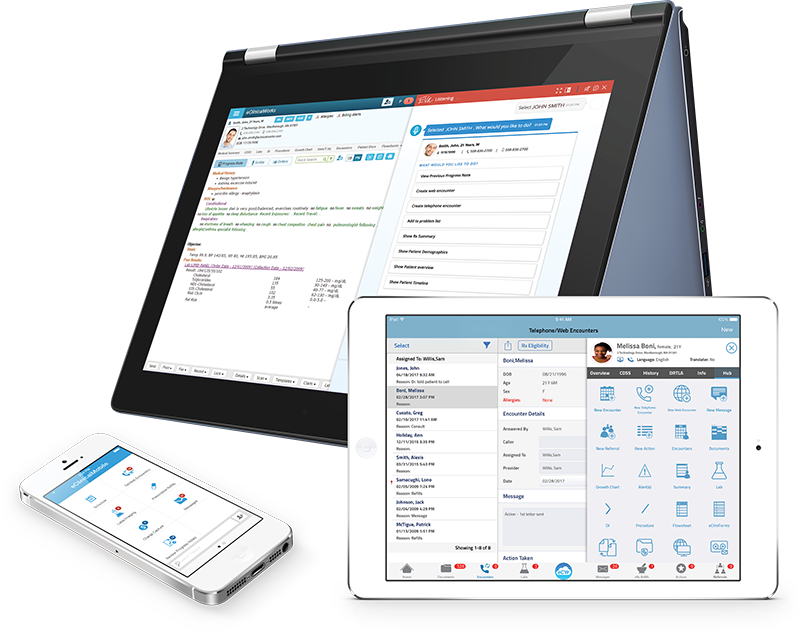 We all know eClinicalWorks is an industry-leading ambulatory EHR, which can be customized to meet a range of needs. But what about those specialty applications that we know about as well? eClinicalWorks has a dermatology module, dental module — just to name a few — but today what we’re going to be discussing is the eClinicalWorks allergy module, and joining us is Christine Barboza, Practice Manager at Allergy & Asthma Care in Taunton, Massachusetts. Christine, thanks for joining us today. Adam: Christine, why don’t you tell us a little bit about your practice so we can have some context here. Christine: OK, well, allergy and asthma care, we treat, of course, the allergies and the asthmas, as well as sinusitis and venom stings and drug allergies. Doctor Accetta founded Allergy & Asthma Care 28 years ago. He was working for a big local practice, decided to branch out. I started about a year later, so I think it was 1989-1990, and here we are today. We’ve added another physician, Dr. Pedersen, and we have another physician coming on board in August, which will be Dr. Solomon. So, we are continuing to grow, which is a good thing. Adam: So, Christine, how long has Allergy & Asthma Care been using eClinicalWorks? Christine: We started using eClinicalWorks in 2006. We were part of the Mass eHealth Collaborative at the time, which was an initiative to get physicians and hospitals to be able to interface electronically, and we were approached with three different vendors to choose from, and eClinicalWorks was one of those. And, at the time we were using a separate EMR/Practice Management program, so the three programs that they presented to us had both of those, and they interfaced with each other. They were just one program, which was beautiful at the time. So, after looking at all three, I felt — we felt — that eCW was already at that time far superior than the other two vendors that we had looked at. So we chose eCW and here we are today, still using it. Adam: And, of course, we’re here today to talk to you about some of those features and how they have made a difference for your practice. Why don’t you highlight — what’s one feature that really stands out for you in the eClinicalWorks allergy module there? Christine: The biggest thing that stands out to me is that it’s within the Progress Note, which is beautiful. So, instead of having to go out into documents, or search for the test results, it’s within the Progress Note. So, not only can we see it right there while the patient is still here, but when we print out their Note for the day, they also can see everything that they’ve been tested to, and what they were positive and negative for. Adam: And, of course, that integration with the Progress Note is great for any practices that are multi-specialty, and having that as part of the overall EMR record means that all of that information is much more integrated with any other clinical information that you may be recording, as part of that multispecialty workflow. But, of course, since you guys are all allergy, all of the time, I’m sure that doesn’t come into play as much. Christine: You know, what’s nice about multi-specialty, is that the skin testing resides in the Hub. So, if you’re primary care, and you want to know what happened on the skin testing, there’s a tab on the Hub that you just click on it, and it brings you all of the skin tests that were done on that patient. You’re able to just click on the day you want to look at, and it opens right up for you. Adam: That is great, very easily accessible. And since we’re on the topic, we could also mention that for organizations that are doing multi-specialty, or even organizations like yours, where you might not do an allergy test at every single visit, you can actually customize the Progress Note so that if it’s not a visit that needs an allergy test, you can keep it right out of there and reduce the clutter there on the screen that way. Christine: Well, in order to use skin testing, you have to develop a visit type for it. So, if the visit type — let’s say you’re coming in today for just an office visit, your visit time is OV. If you’re a new patient, you’re coming in for a skin text, your visit type is going to be NP or ST for skin testing, and you’re able to see the allergy module is available. If you’re just coming in for an office visit you can’t even see it on the Progress Note. Adam: That’s right. And, of course, that is driven by the customization and your visit type set-up, which is the check box for the allergy test. Adam: And, I think also there’s a feature in eClinicalWorks that allows you to define two different names for any allergens that you’re testing. So, you can define an office-level name and a patient-level name for that, as well. Is that a feature you are using? Adam: Yeah, so I’m sure that, along with the fact that we’re able to simplify and condense that takeaway that the patients are going home with, I’m sure that makes it much, much easier for those patients to know what was going on there at the visit. So, how about for your office and your workflows, what features of the allergy module have made things easier for your practice? Christine: We were able to be rid of ink-edit documents, first and foremost, which was nice. We’re able to access it right in the Progress Note now. Before we used to have to open up two separate documents, one for the prick test, one for the ID. We’d have to put the results into one, put the results into the other. Then the staff had to go into the Progress Note and remember to bill, and they had to remember to bill for the correct amount of units. With the module, they just click on allergy skin tests — all the prick tests are in there for them, they do them, it counts how many prick test were done, on the bottom. It will say how many were done. And then, instead of having to go get another document to come in and do the IDs, they just click on IDs, it grays out all the positive in the prick text, moves them over into the IDs so there’s no duplication, and it also counts it for us. So, when they save it and they close it, we have all of the units in the billing that automatically drops into the Progress Note for us. Adam: So, you mentioned the skin test, as well. Now, you created your skin test profiles, is that correct. You have the ability to customize those based on your needs? Christine: You have to really sit for a minute and think about how you want to use this module, because physically, we are not doing anything different. So, what I did to make it easier, and so that everyone could understand it very easily, is I started by taking all of our paper skin test results sheets: I created all of the allergens that are on each of those sheets. Then I went and created the test form itself, and added those allergens in. So, when my staff open that skin test document, they apply the prints on the bottom of the arm, and in the module, it follows exactly, so, our tray, everything in the module, and what they’re visually looking at matches perfectly, so there’s no room for error. So you have to really think ahead — how are we doing it now? And I mirror that within the module and our test tray, because you don’t want the staff all over the place. You want everything to go in order. So, that was the biggest challenge, but once we thought about it for a minute, it was very easy to create it. We really just created it by panels of five — upper, lower, right arm, left arm — and everything just flows together. Adam: So, with the ability to customize those things you were able to set those exactly as how you were used to doing it, but now, of course, it’s digitized. Now, we also offer a couple of other things that might be interesting for groups that are using the allergy module. Of course, one of the big reasons to go electronic with all of this stuff is so that you can get some insights with reporting, and we certainly offer a suite of reports that are available to be added to your eBO reporting system — reports like something that will show you how many of your patients declined to proceed with treatment and for what reasons — that’s a big one that I think people are looking for — and the breakdown of allergens or sensitivities by things like ZIP codes, so you can see if there are hot spots in the area. And there’s a suite of other reports that are available, as well. Christine, before we go I would like to ask you if you have any advice for groups that are looking to get started with the allergy module in eClinicalWorks. Christine: Yes, I do, and I’ve talked to a few of the practices out there. They have called me to ask me how I dealt with certain types of test sheets, and how I set them up, and things like that. So, I would talk to them about it, and send them screenshots, on the different sheets that I have created to help them, because they’re not really sure because they have not created them yet. Really sit down and take your test sheets, and take the time to organize everything before anyone uses it or touches it. Make sure all of your allergens are in there. Make sure it mirrors all of your test trays and what your staff are doing physically on the patient. So that everything is seamless. And the best way to start that is to take what you have, which is what I did — I took every test sheet, sat down, entered every allergen manually, and then started to create my sheets, and before the staff even got to touch it, everything was ready, and matched. And then when they started using it, the comment from my staff was “Wow, this is nice! This is so quick and easy.” And the doctors love it as well. So, I just say, take your time, really think about what you’re doing, and do the prep work. If you do the prep work, everything is going to run very smooth. Adam: All right. Be prepared. That’s great advice. And Christine, it sounds like we may need to set you up with your own webinar series on eClinicalWorks, to show groups how to properly prepare. Christine: I would love that. I would love that. I’ve been using eCW for a while, and I really like it. To me, it’s very user friendly. I use every piece of this program. I enjoy it. Adam: We’re excited to have you as part of the eClinicalWorks family here. If you’d like to learn more about the eClinicalWorks allergy module, you can check out my.eclinicalworks.com. You’ll also notice that there’s a widget there on the homepage, so you can learn eCW in five days. You’ll find a set of videos there, very instructive, very detailed, on how to set up your allergy module, and how to utilize that for workflows and things like that. Of course, you can check out live webinars on my.eclinicalworks.com as well. Of course, while you’re there you might also want to check out some of our other podcast episodes. And you can find those on my.eclinicalworks.com, or on YouTube or myTunes. For the eClinicalWorks Podcast, I’m Adam Siladi. Thanks for watching.